The synopsis makes this story sound like it’s some light, fluff piece, but it’s so much more than that. 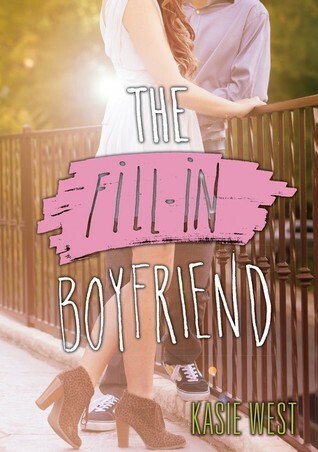 The Fill-In Boyfriend follows Gia Montgomery, a girl whose life seems as normal as it gets. Popular, president of student council, has some close girlfriends and a family that hasn’t been torn apart by divorce. Everything looks perfect on the outside. That all started to change with the fill-in boyfriend (aka FIB) who is rather insightful. With the arrival of the lies starting at prom, Gia’s life starts to unravel into imperfection. 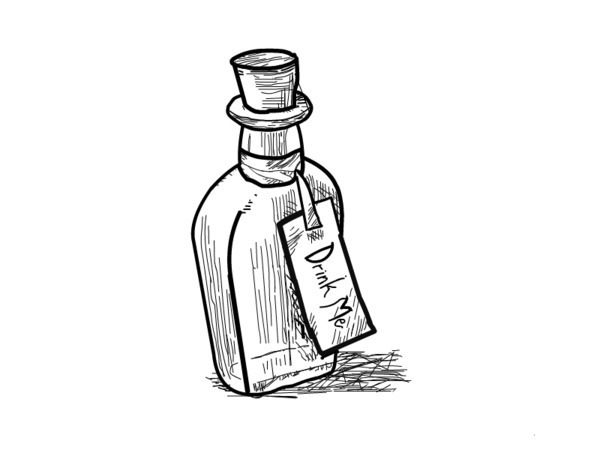 I love how it explores the family dysfunction in a way that’s different from other stories. Sure, her parents and brother get along fine with each other, but maybe, that’s the problem. When things don’t get resolved in order to maintain peace and have the appearance of perfection, you start to hide emotions deep inside and only work with surface emotions in every relationship. Who knew that not getting punished enough for something could cause just as many problems in a family? It also prevented Gia from being able to talk to her parents when her life was falling apart. Too emotional, right? And that would require admitting that something in her life wasn’t working just perfectly. There was just so much emotion in Gia’s story. With a frenemy that was out to get her, it was awesome to have someone to hate. Sometimes, I find stories like to give redemption to those that may initially seem awful. Not this one. I absolutely can’t stand her friend who is so hell-bent on destroying Gia’s close friendships. And all for a reason that is rather lame. Although the story concludes without the neatly wrapped up ending, I was a little sad that there wasn’t as much closure with her friends. There was hope, but I guess the message is that sometimes, you outgrow even lifelong friends who may become different people as the years go by. Besides family and friends, this story touches so much on Gia’s journey into opening up to people and finding out who she wanted to be. I love character development and this story focused so much on this gradual change that was working its way through her. By the end of it, she had grown so much that it literally brought tears to my eyes. My favourite advice was something the fill-in boyfriend’s mother had told Gia when her world started to fall apart. She was asking about how to truly gain life lessons and find herself when nothing terrible has happened to her. This is the wisest thing I’ve heard yet to answer such a question. Speaking of tears, The Fill-In Boyfriend definitely had a lot of romantic chemistry going on there. He brought so much insight into Gia’s life, that even though they were only going to spend just two nights together, it was hard to get him out of her life and mind. I’m so glad that there was this simmering attraction between them that was so tangible, I almost felt like I could reach out and touch it. It wasn’t only the attraction that was enjoyable, but also their witty banter that was hilarious to read. The path to romance doesn’t always have to have constant staring and romantic lines, but it may very well lie in a deep-rooted friendship. The ups and downs to their relationship was beautifully written. Falling for someone for real while pretending to only be each others’ dates definitely complicates things. Although Kasie West’s On the Fence wasn’t as huge of a favourite with me, The Fill-In Boyfriend has quickly shown me that this author has so much to offer in YA literature. This is a beautiful story of finding who you are in the imperfections while falling for the very person who challenges all those cracks in your life and learning to let go of emotions. A definite must-read. The Fill-In Boyfriend is so much more than its synopsis limits it to be. It’s a remarkably well-written story about finding love in the unexpected, seeing the beauty in life’s imperfections and staying strong when your world starts to crumble from the lies in your past catching up to you. This is Gia’s journey in finding herself, and all I can say is that it’s heart-warming and almost brought me to tears as it is so relateable in so many ways. I highly recommend this book to anyone to read. It’s way more than just fluff.